Jaana and I go WAY back – back to 2007 when we both worked at the same plant nursery in the GTA! 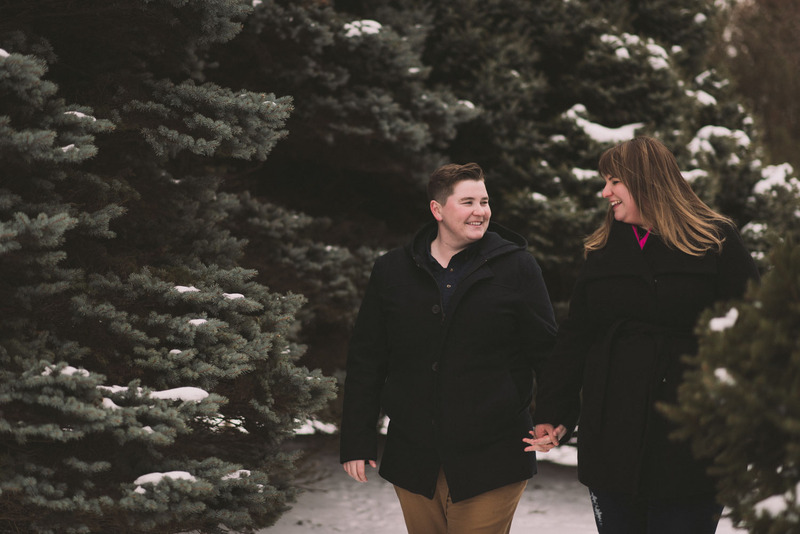 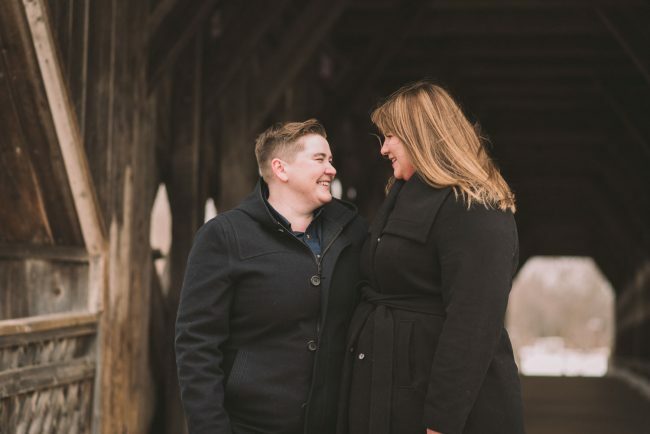 So when I received an email from her fiancee Briana about their engagement and upcoming wedding, I was super happy that our paths were about to cross once again! I had always remembered her as a funny, kind person who was fun to be around and to work with. 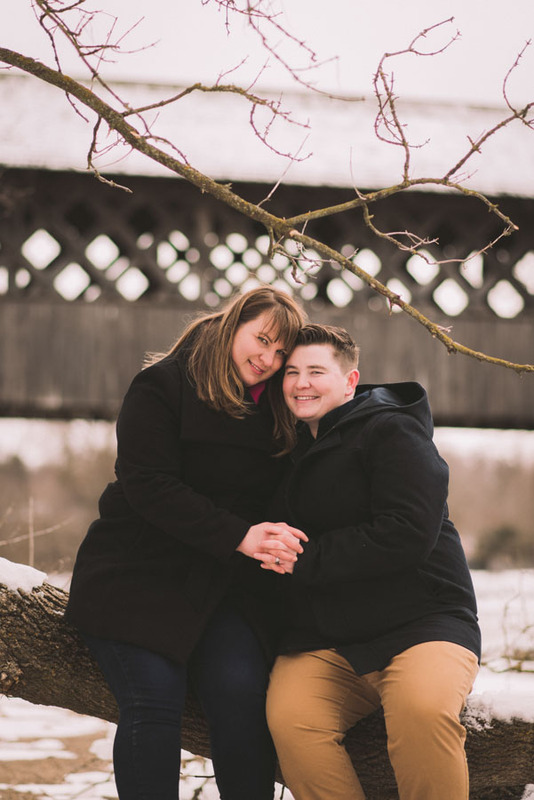 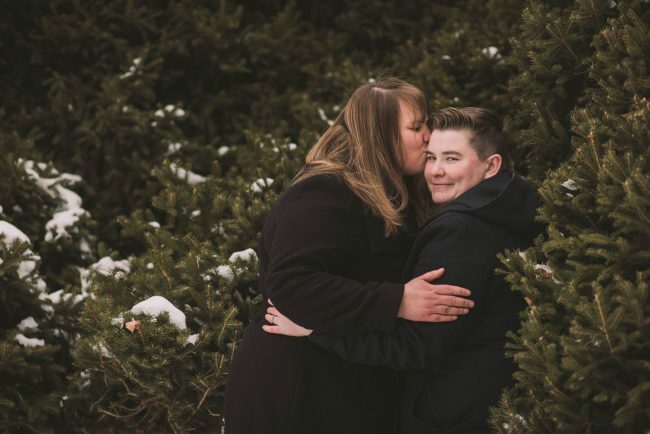 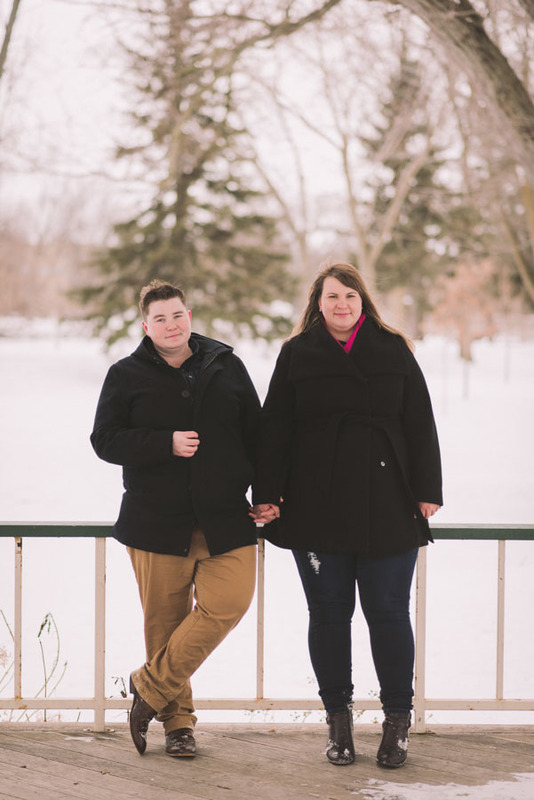 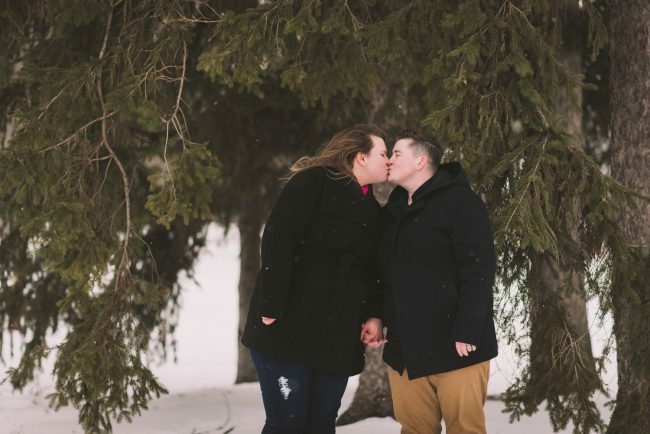 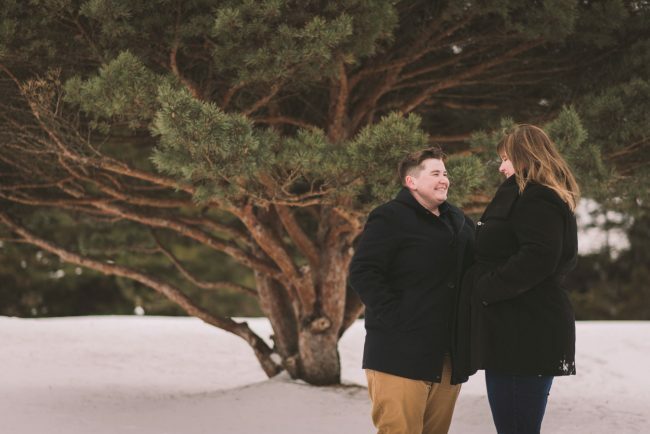 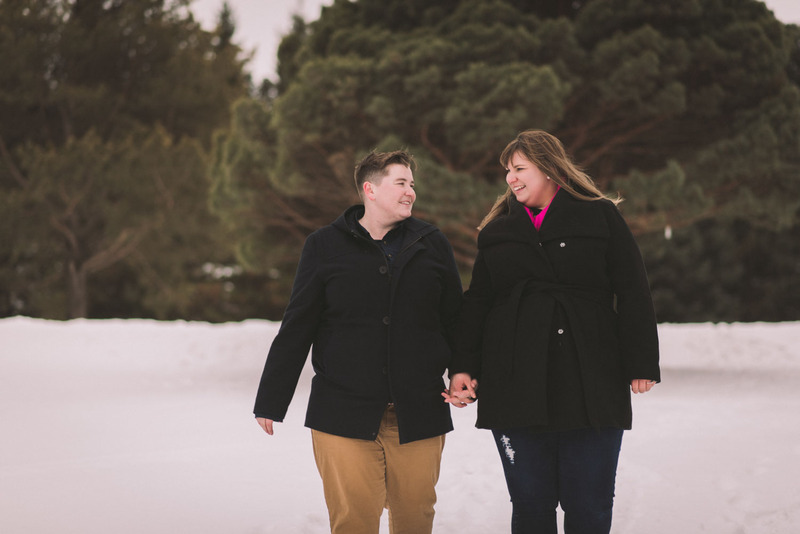 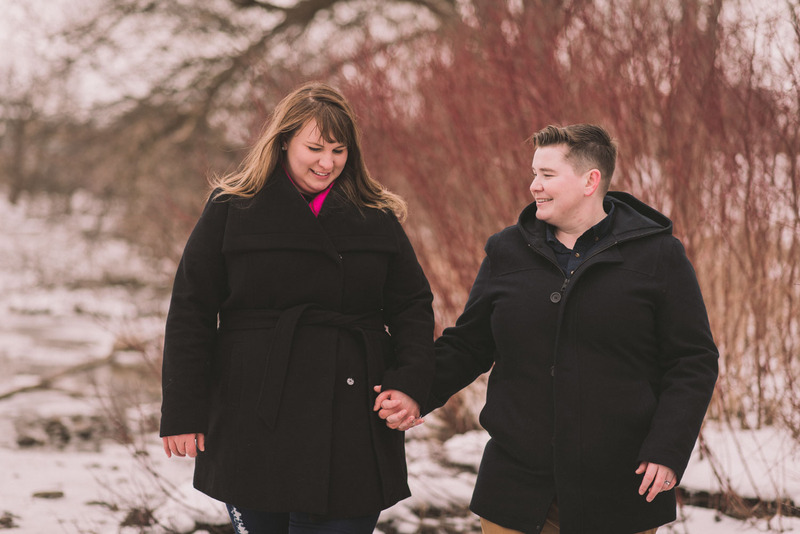 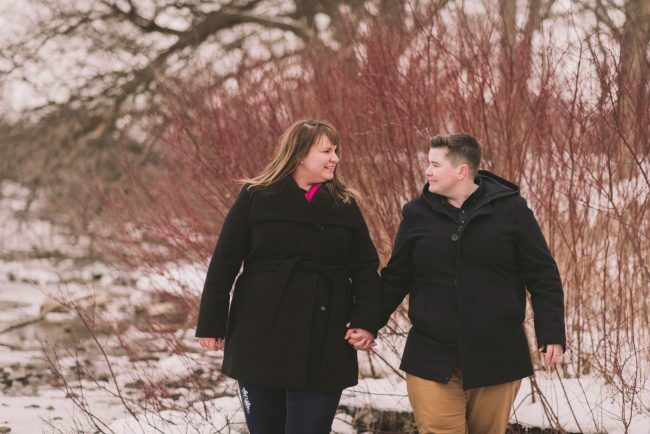 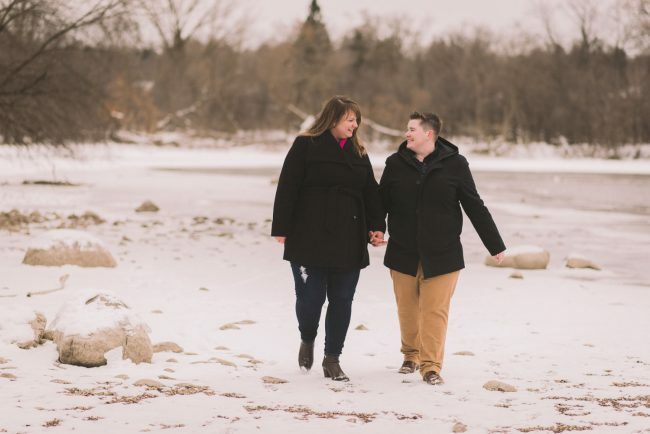 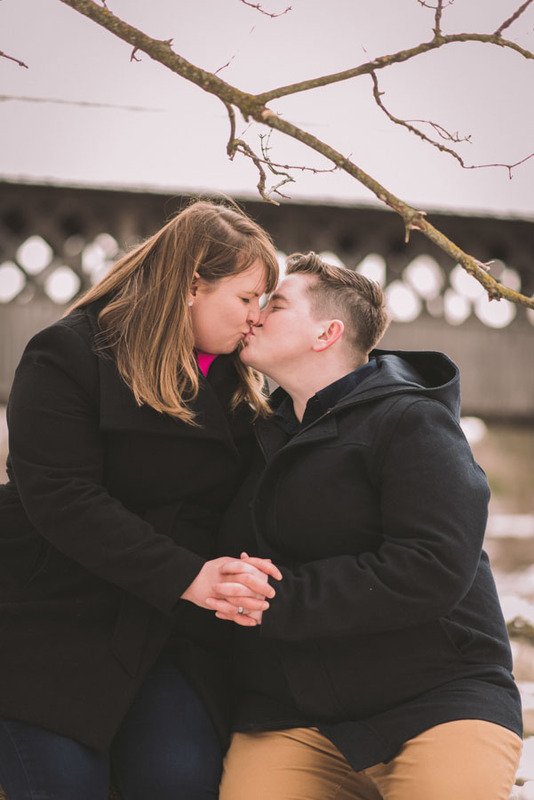 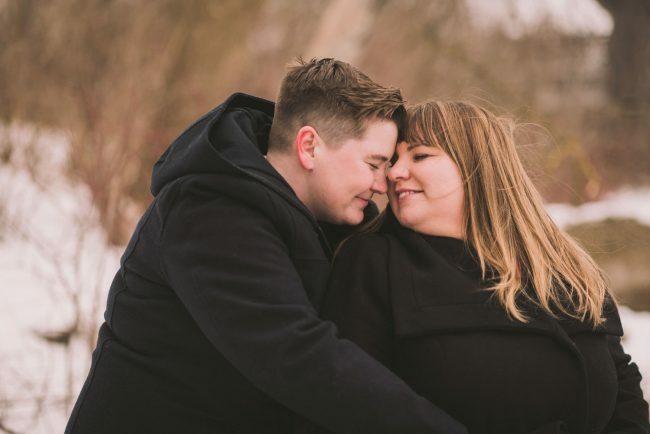 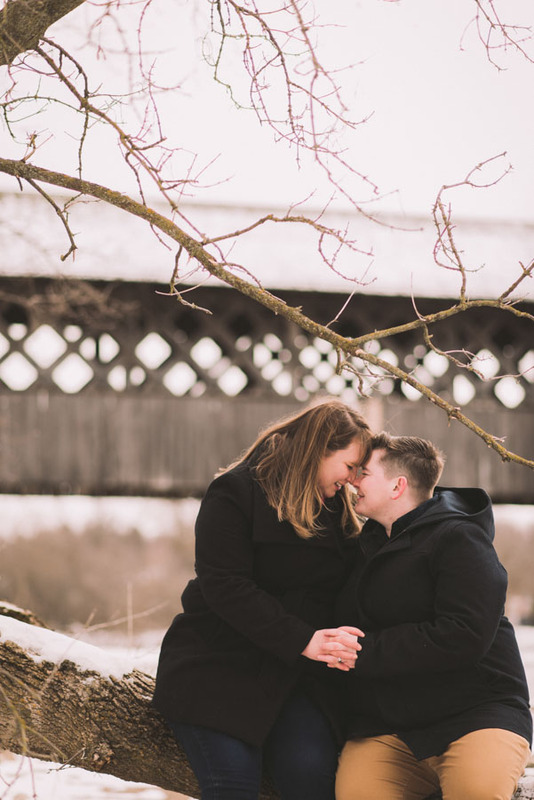 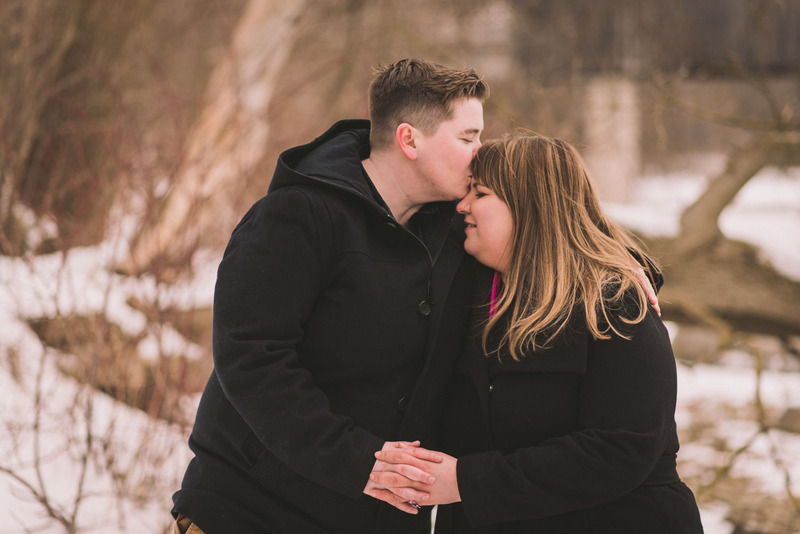 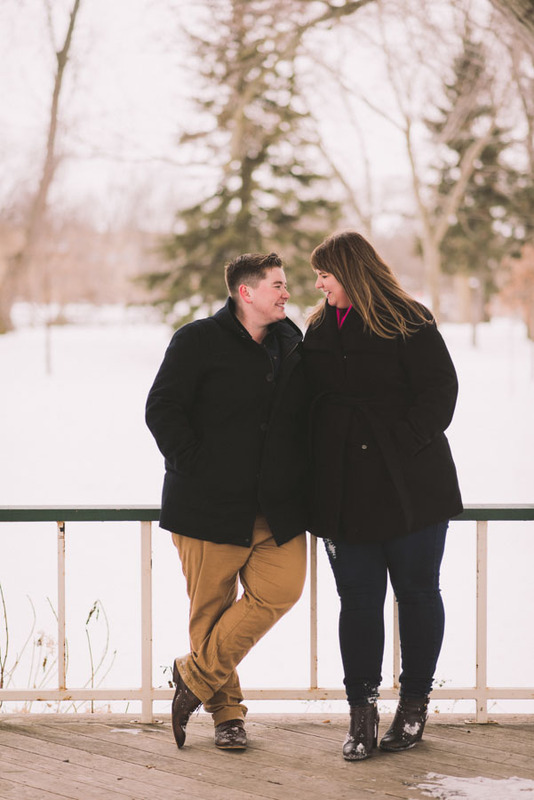 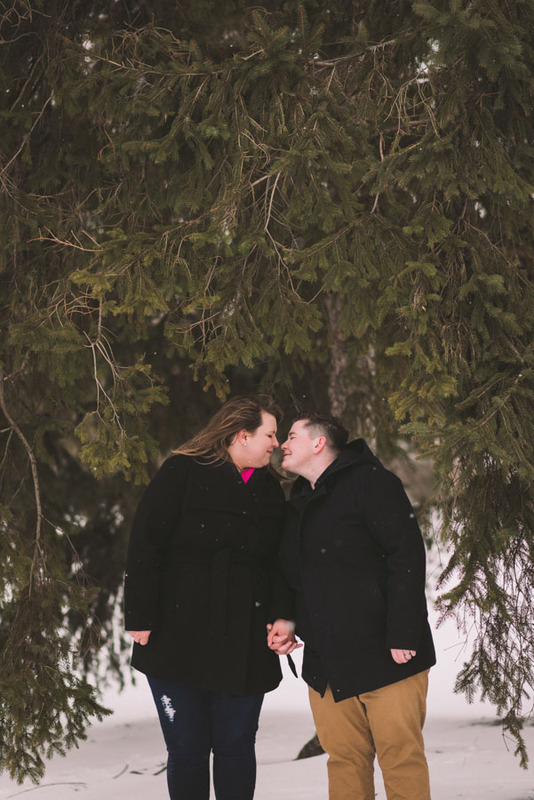 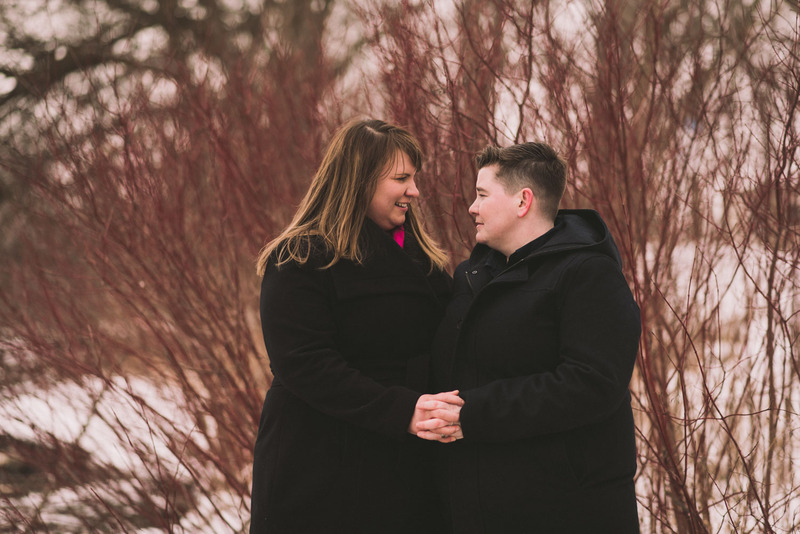 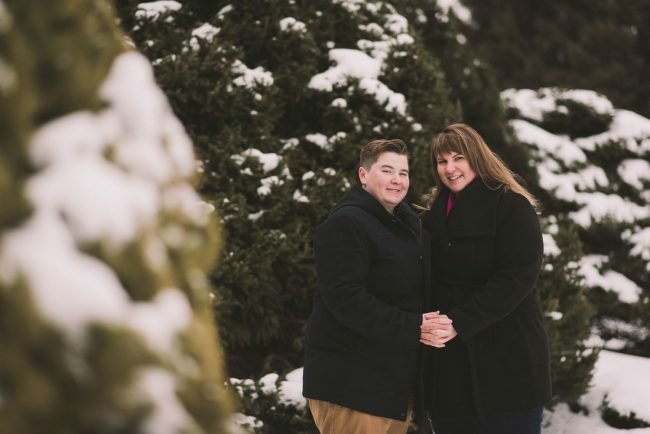 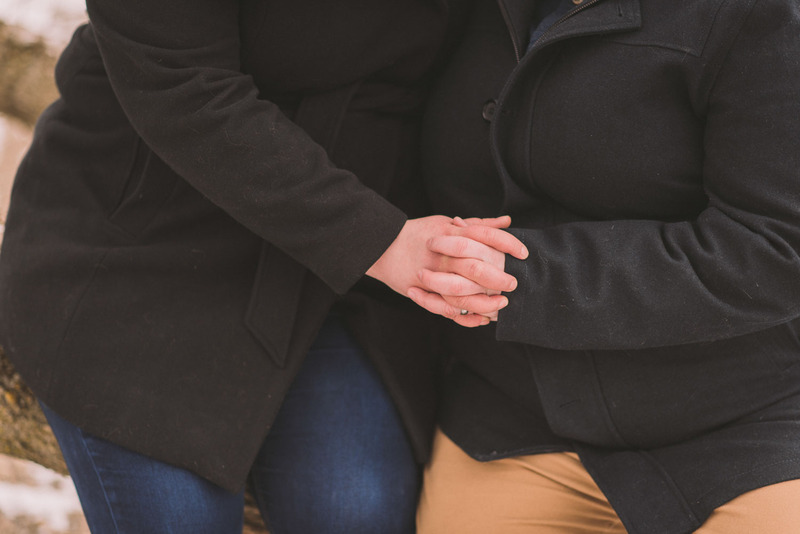 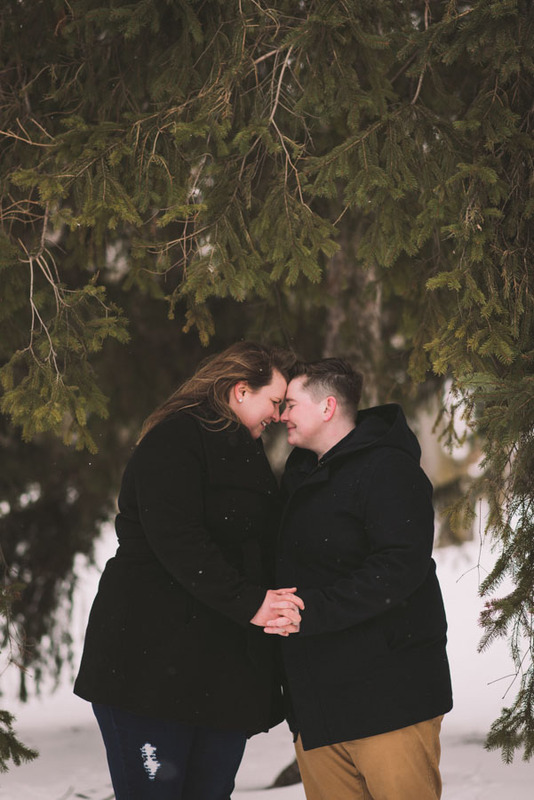 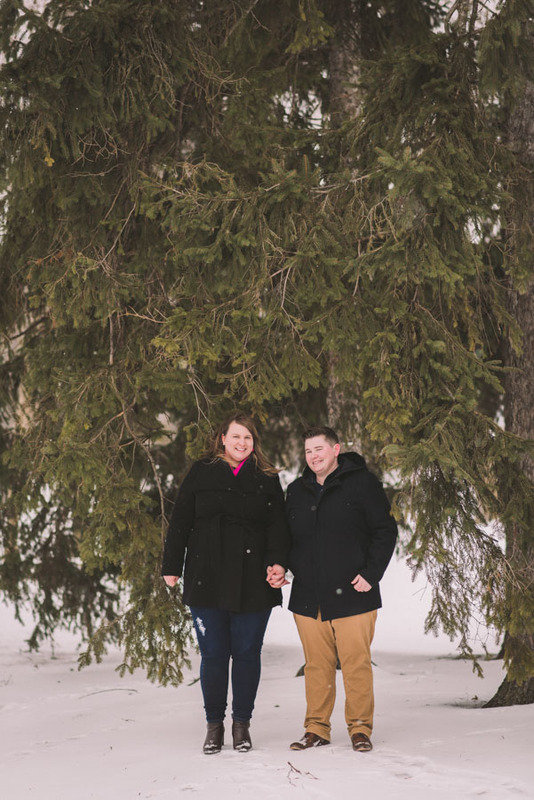 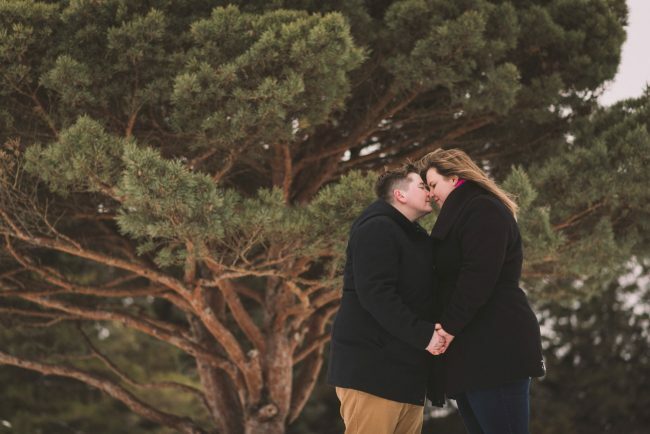 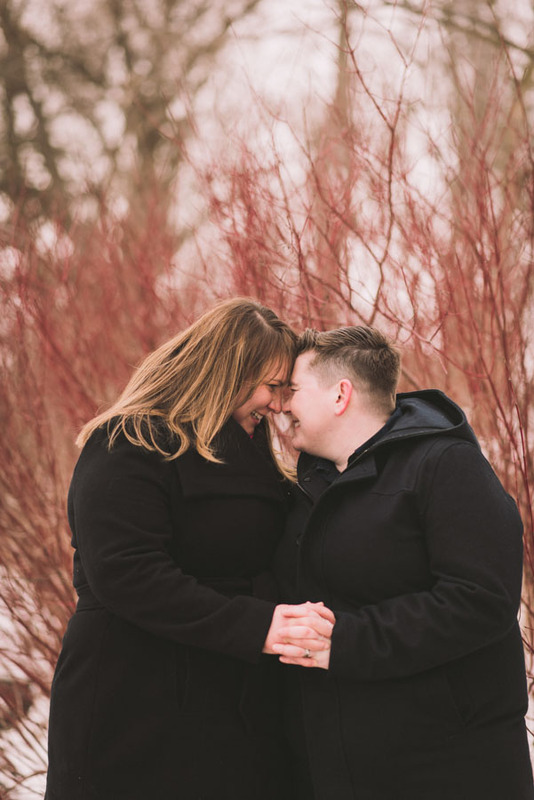 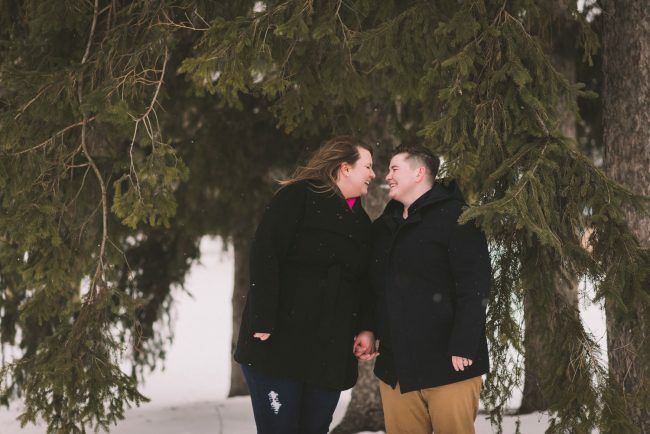 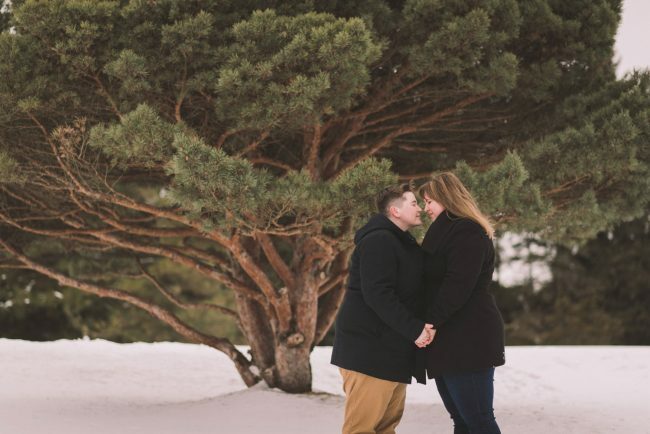 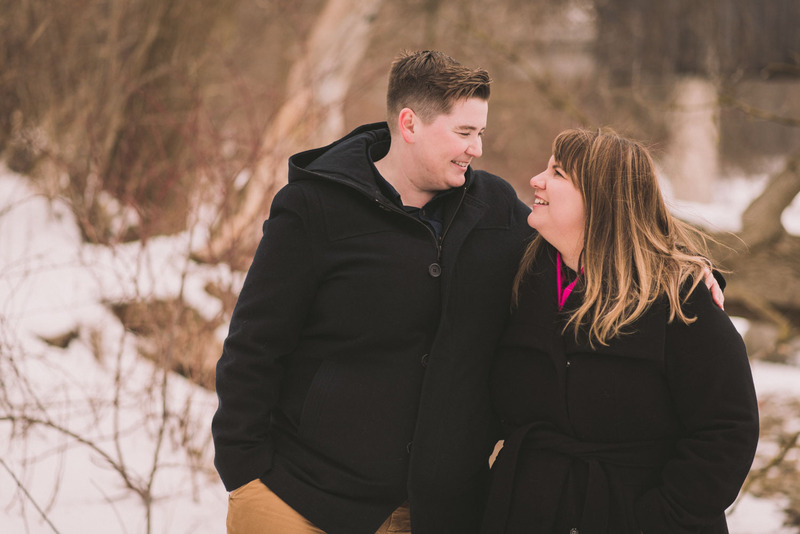 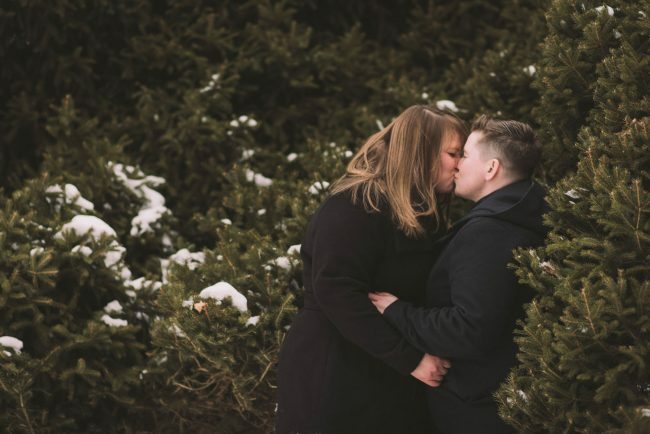 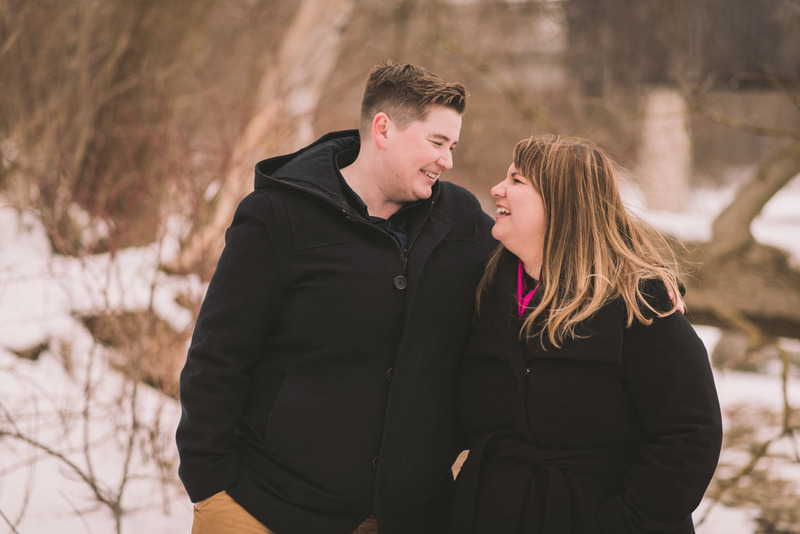 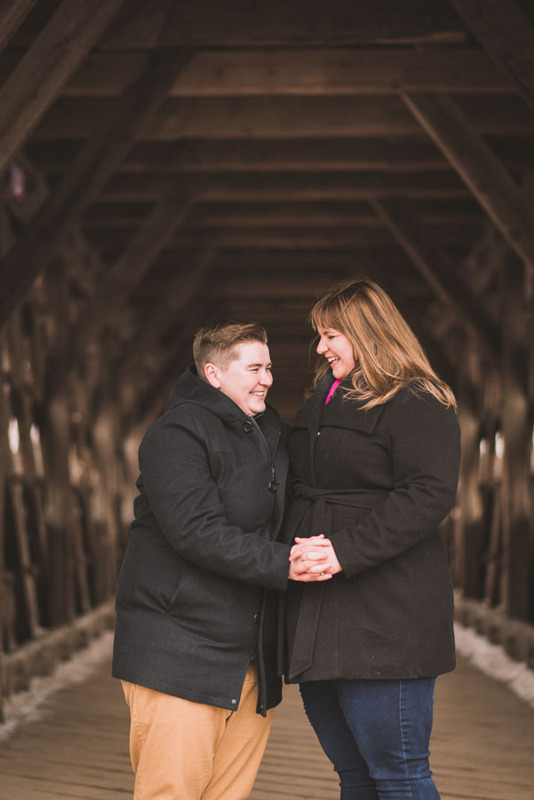 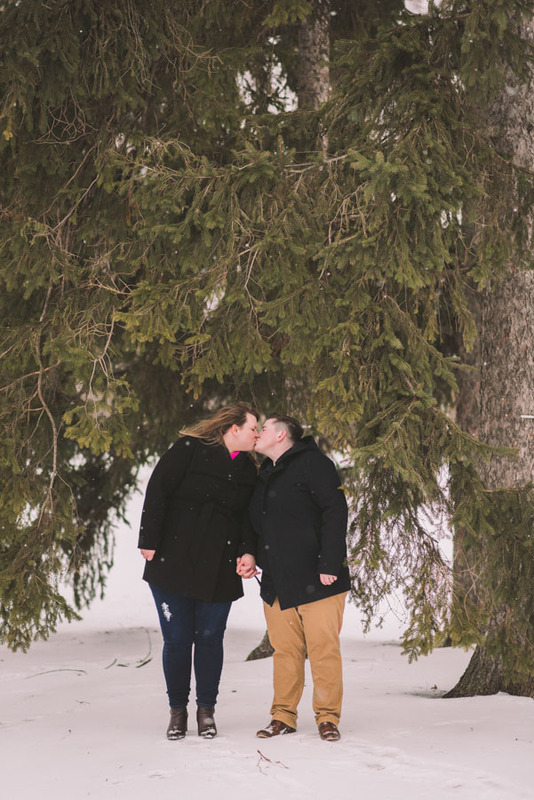 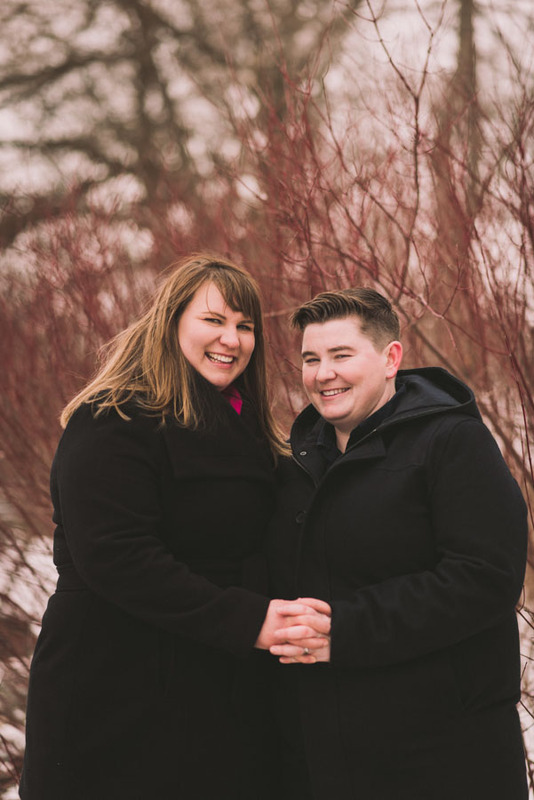 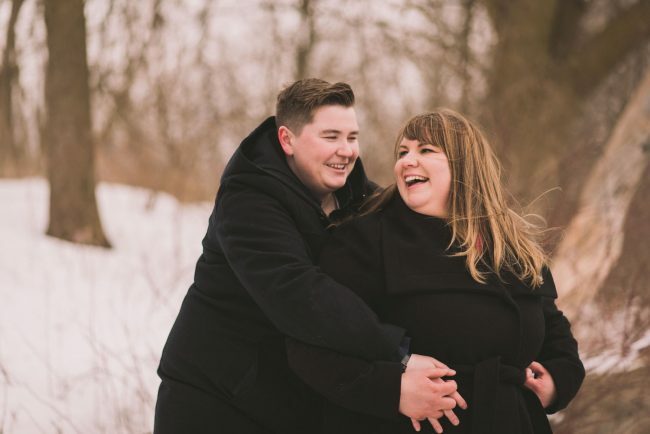 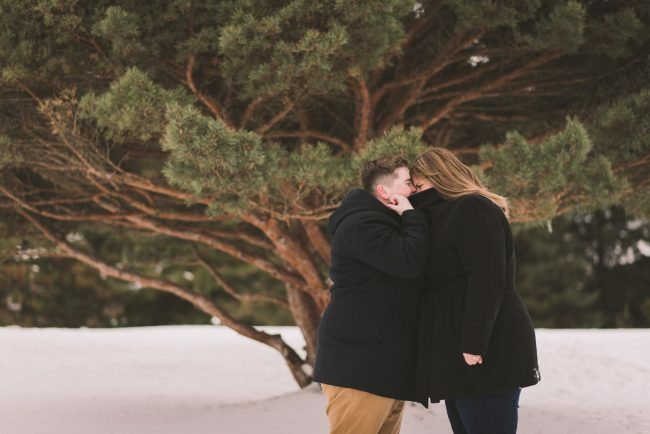 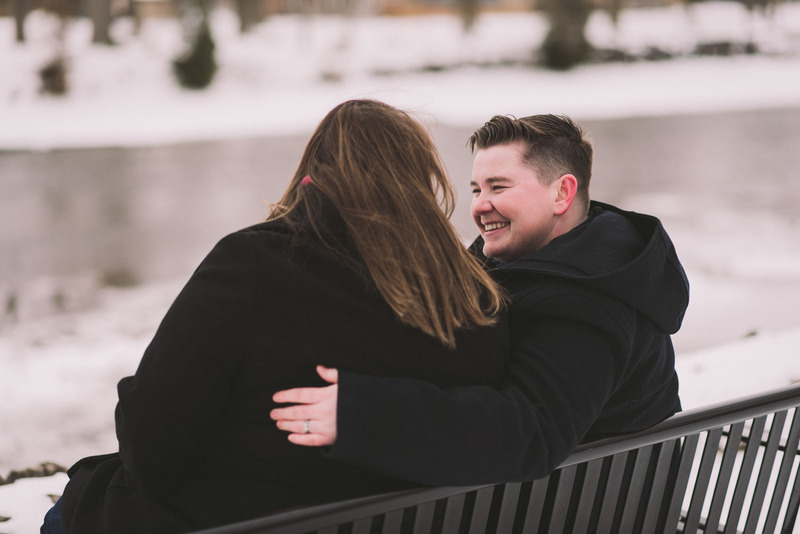 Briana and Jaana are out west, so we had a great conversation via video conference and arranged our engagement session to take place in Guelph when they would be back for a visit! 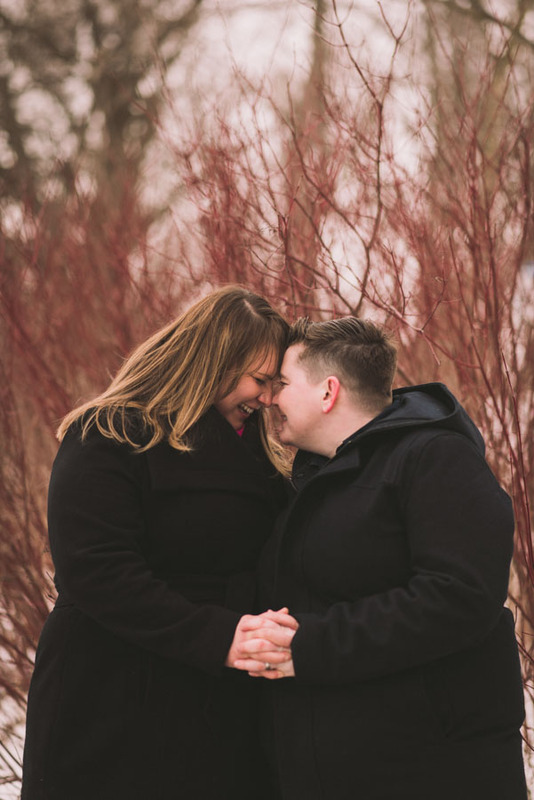 It was a VERY cold day but these women were troopers…plus, the chilly breeze was a great reason to cuddle harder! 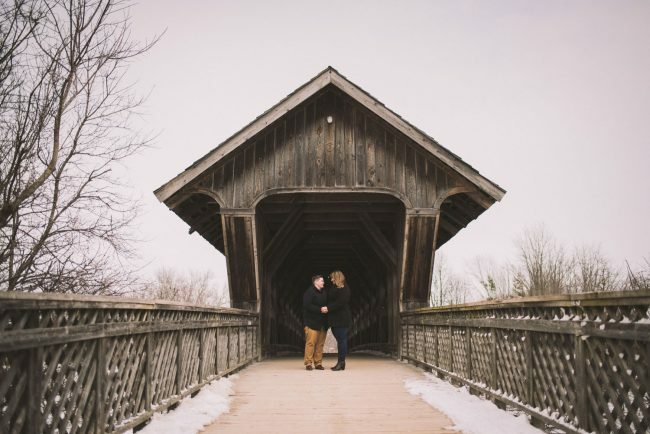 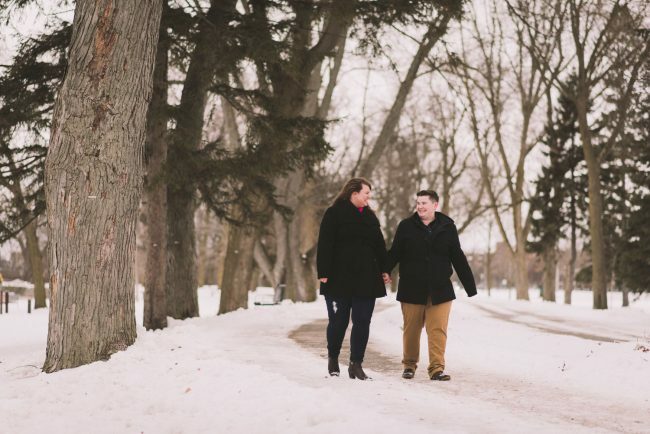 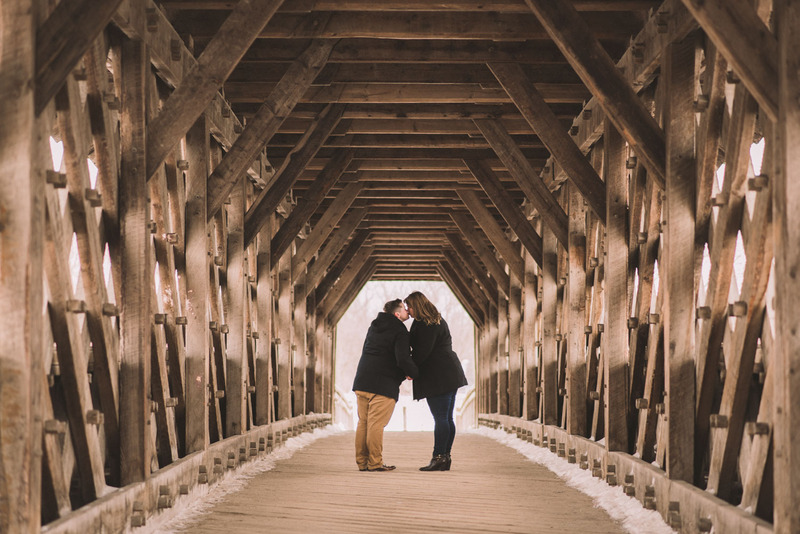 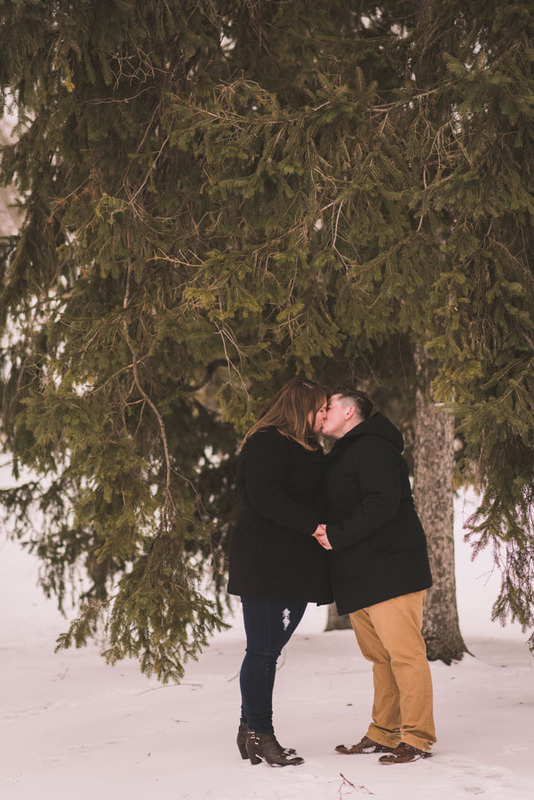 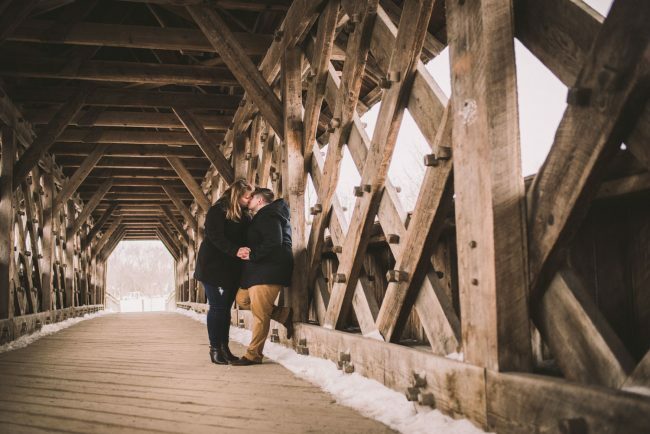 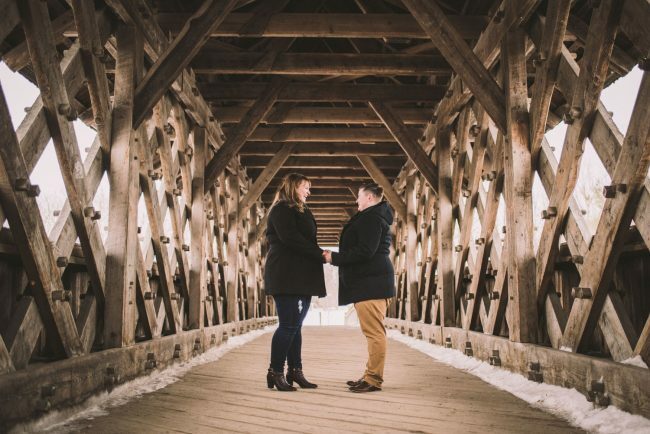 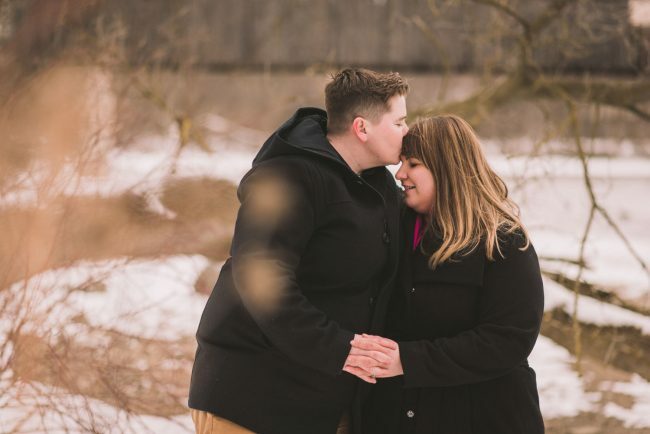 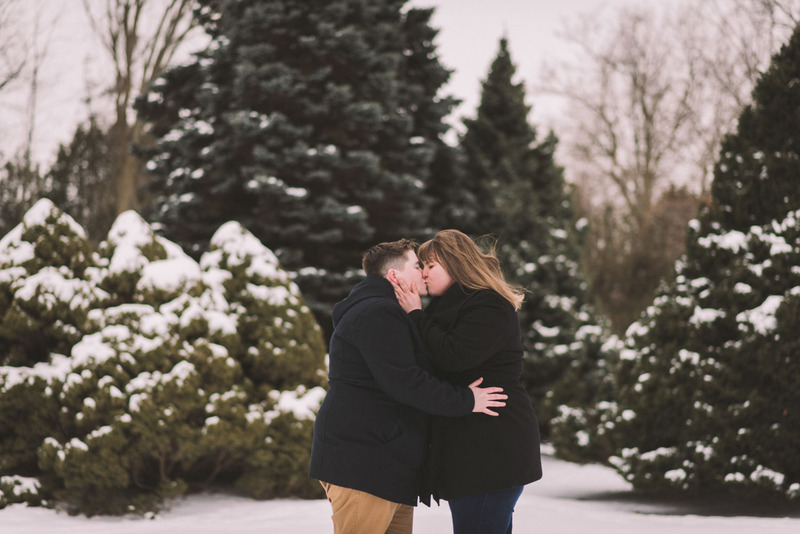 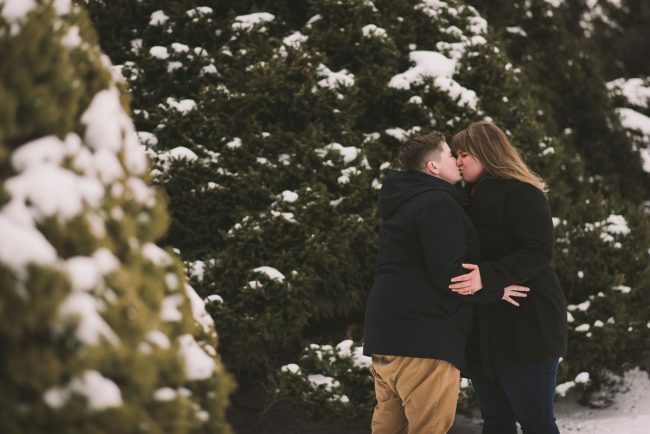 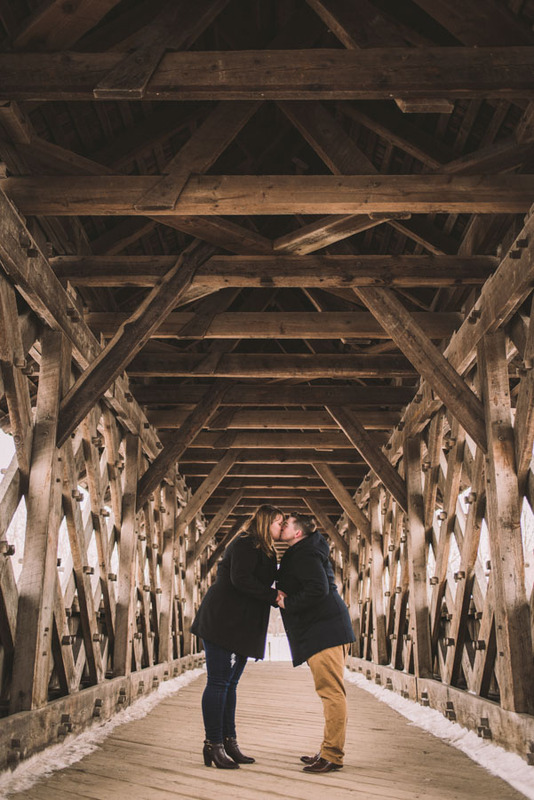 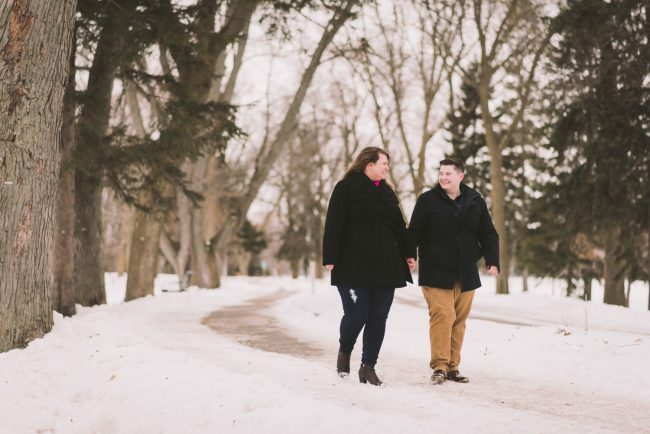 Our engagement session started at the Covered Bridge and nearby river in Guelph, followed by a stop at the University of Guelph Arboretum! 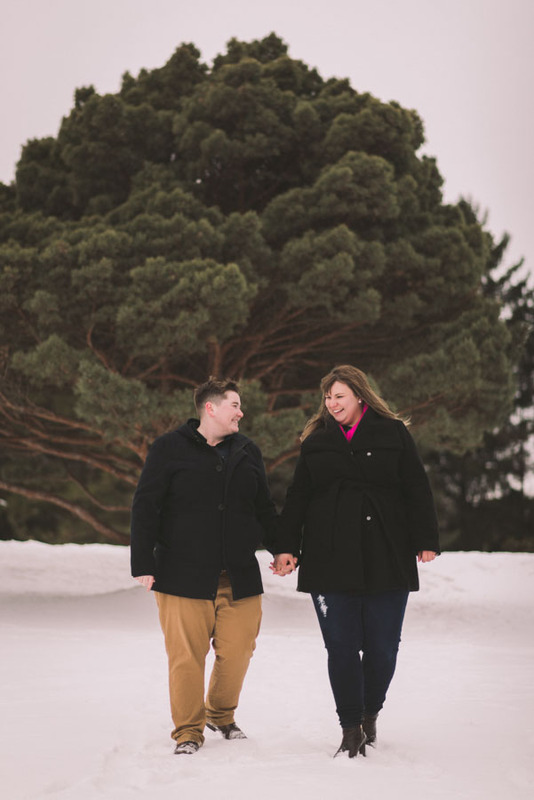 I had a goofy smile on my face the entire time I was editing these photos – I LOVE them! 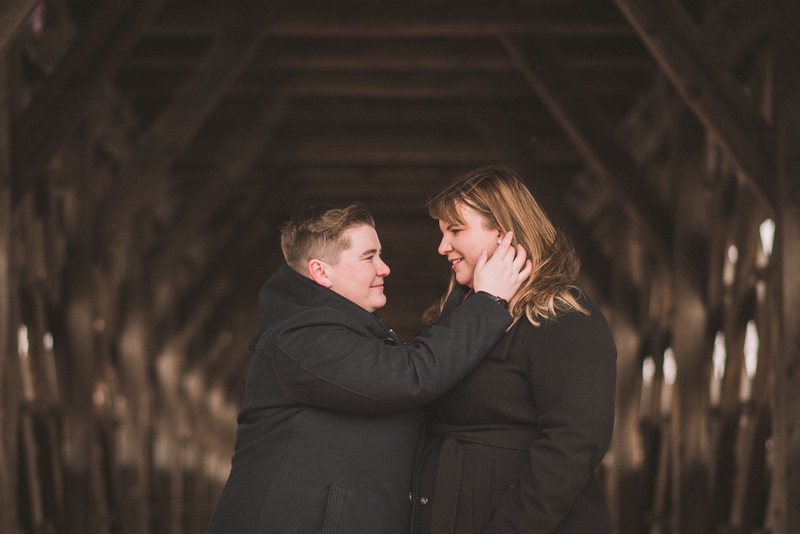 And I can’t wait for Briana and Jaana’s wedding day this coming summer!